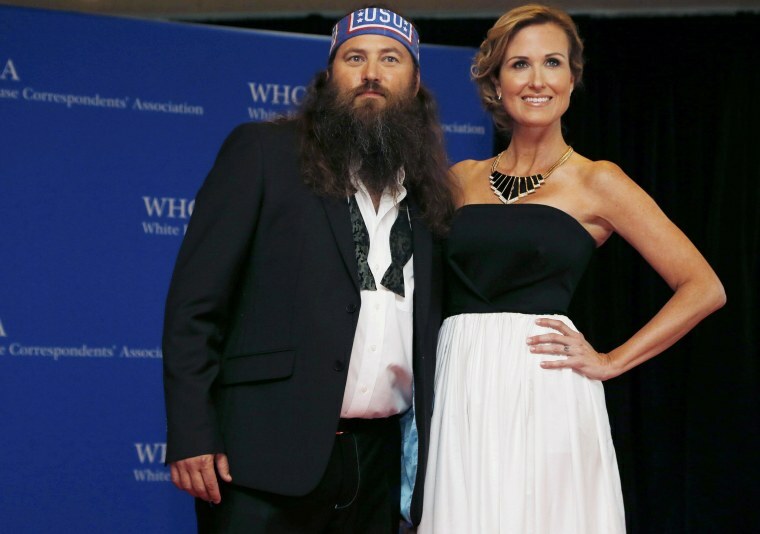 Willie Robertson and wife Korie of ‘Duck Dynasty’ fame returned to Washington, D.C., on Saturday for this year’s White House Correspondents’ Dinner. The stars of the A&E reality show were in attendance at last year’s dinner, with Willie Robertson sporting a black and white bandana. He continued the tradition wearing a USO logo bandana on Saturday.